and the last block in my Vintage Block Quilt Along. As well as a few blocks for the Cocorico Bee. This little number - I'm calling it the "Lovely Gathered Purse" has been in my sketch book for ages and when I found this fabric I knew I had to make it. 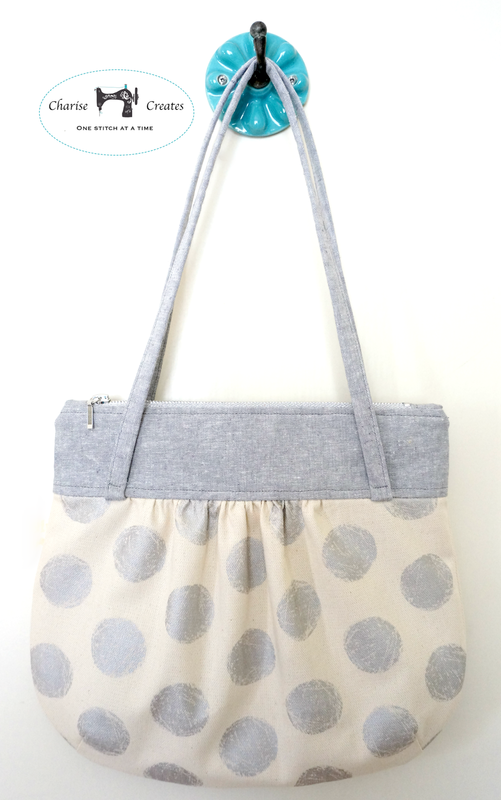 The zippers are a perfect match to the metallic dot print. The fabrics are from Daiwabo and I love the simplicity and modern feel of the fabrics. and cool wintry shades of silver, gray and blue. I found the fabric at my local Pacific Fabrics. It is also available online too! 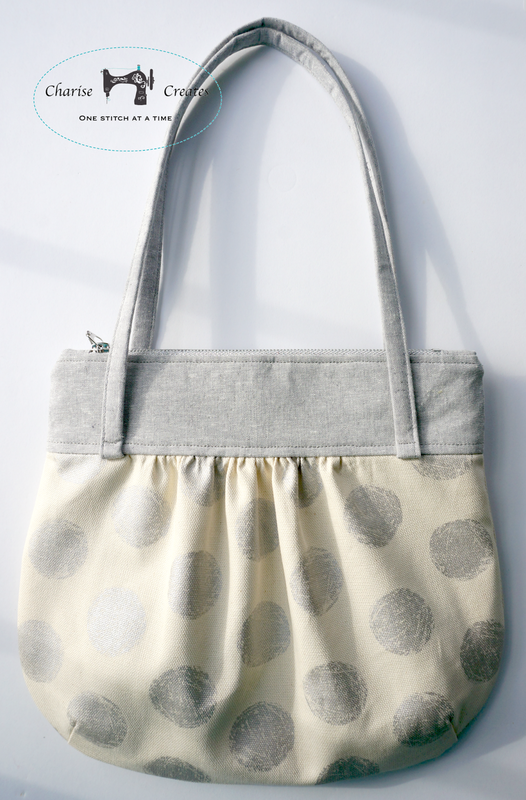 and I just cut out a larger "shopper" version today! 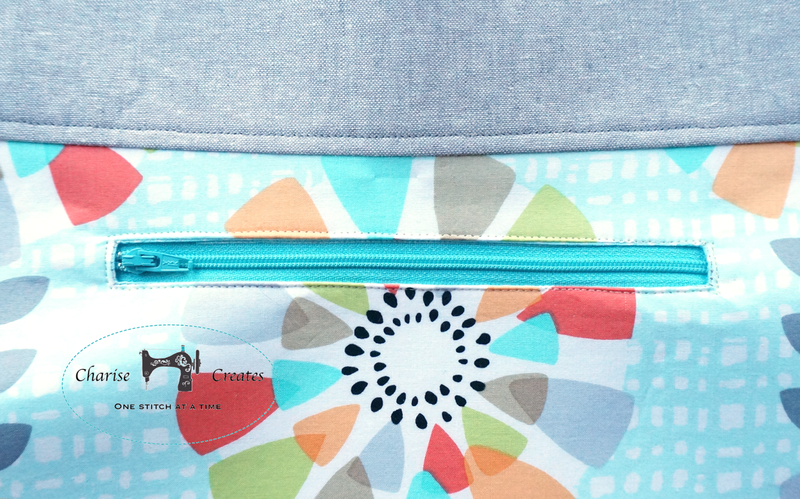 I love the inside zipper pocket and it is so easy to install!